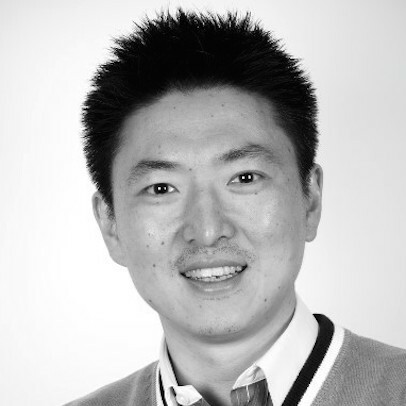 Dr Kai Xu's research focuses on Visual Analytics, which integrates data visualisation with analytic techniques (such as Machine Learning and Natural Language Processing) to make sense of large and complex data (such as Big Data). By combining the strength of human cognition and computational analysis, this approach allows analysts to gain insight from Big Data faster and deeper than what was previously possible. Islam, Junayed and Wong, B. L. William and Xu, Kai, “Analytic provenance as constructs of behavioural markers for externalizing thinking processes in criminal intelligence analysis”, in “Community-Oriented Policing and Technological Innovations”, Springer, pp. 95-105, 2018. Kai Xu, Leishi Zhang, Daniel Pérez, Phong H. Nguyen, Adam Ogilvie-Smith, ‘Evaluating interactive visualization of multidimensional data projection with feature transformation’, Multimodal Technologies and Interaction, Special Issue on Coupling Computation and Human Cognition through Interaction Design, vol. 1, no. 3, 2017. Nguyen, P. H., Xu, K., Wheat, A., Wong, B. W., Attfield, S., and Fields, B. ‘Sensepath: Understanding sensemaking process through analytic provenance’. IEEE Transactions on Visualization and Computer Graphics, vol. 22, no. 1, pp. 41-50, 2016. Xu, S. Attfield, T.J. Jankun-Kelly, A. Wheat, P. H. Nguyen, and N. Selvaraj, “Analytic Provenance for Sensemaking: A Research Agenda”, IEEE Computer Graphics and Applications, vol. 35, no. 3, pp, 56-64, 2015. Choudhury, N. Kodagoda, P. Nguyen, C. Rooney, S. Attfield, K. Xu, Y. Zheng, B.L.W. Wong, R. Chen, G. Mapp, L. Slabbert, M. Aiash, and A. Lasebae, “Concern Level Assessment: Building Domain Knowledge into a Visual System to Support Network Security Situation Awareness,” Information Visualization, vol. 13 no. 4 pp. 346-360, 2014. Walker, A. Slingsby, J. Dykes, K. Xu, J. Wood, P. H. Nguyen, D. Stephens, B. L. W. Wong, and Y. Zheng, “An Extensible Framework for Provenance in Human Terrain Visual Analytics,” IEEE Transactions on Visualization and Computer Graphics, vol. 19, no. 12, pp. 2139–2148, 2013. Xu, C. Rooney, P. Passmore, D.-H. Ham, and P. H. Nguyen, “A User Study on Curved Edges in Graph Visualization,” IEEE Transactions on Visualization and Computer Graphics, vol. 18, no. 12, pp. 2449 –2456, 2012. Wong, R. Chen, N. Kodagoda, C. Rooney, and K. Xu, “INVISQUE: Intuitive Information Exploration through Interactive Visualization,” in Proceedings of the 2011 Annual Conference on Human Factors in Computing Systems (CHI), 2011, pp. 311–316. S. Li, K. Xu, and M. R. Wilkins, “Visualisation and Analysis of the Complexome Network of Saccharomyces Cerevisiae,” Journal of Proteome Research (Impact Factor 5.46), vol. 10, no. 10, pp. 4744–4756, 2011. Deng, X. Zhou, H. T. Shen, Q. Liu, K. Xu, and X. Lin, “A multi-Resolution Surface Distance Model for k-NN Query Processing,” The International Journal on Very Large Data Bases (Impact Factor 6.80), vol. 17, no. 5, pp. 1101–1119, 2008. Xu, X. Zhou, X. Lin, H. T. Shen, and K. Deng, “A Multiresolution Terrain Model for Efficient Visualization Query Processing,” IEEE Transaction on Knowledge and Data Engineering (Impact Factor 2.29), vol. 18, no. 10, pp. 1382–1396, 2006. Nguyen, Phong H. and Xu, Kai and Wong, B. L. William (2016) Interaction log and provenance for sensemaking. In: LIVVIL: Logging Interactive Visualizations & Visualizing Interaction Logs, 23 Oct 2016, Baltimore, MD, USA. Organiser of the Dagstuhl Seminar on “Provenance and Logging for Sense Making”, 2018. Co-chair, “Provenance for Sensemaking” Workshop at IEEE VIS 2014, November 2014, Paris, France. Co-chair, “International Workshop on Visualizations and User Interfaces for Knowledge Engineering and Linked Data Analytics” (VISUAL2014), November 2014, Linköping, Sweden.